Government policy towards clean energy is changing rapidly at the same time as consumer demand for renewable resources is increasing. As we work to ensure government policy best represents the interests of businesses and individuals in the Carson Valley, we plan to more directly engage in bringing the clean energy sector to our region and our state through sound policy. The future of the Carson Valley requires renewed investment in our business community, and clean energy is being used to drive workforce development and economic growth throughout Nevada. Carson Valley can capitalize on these opportunities to make our region an attractive place for both existing and new technologies and businesses and to bring new, well-paying, highly-skilled jobs here. 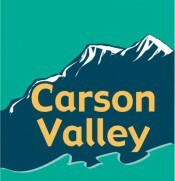 The Carson Valley Chamber of Commerce has demonstrated its commitment to sustainability through its Green BIG program and subsequent participation in GreenACTnv, encouraging businesses throughout the Valley to embrace efficiency and environmentally friendly practices that will make them stand out from their competitors while reducing operating costs. Now, we want to see policies that promote economic growth through clean energy in the Valley while also helping our local large and small businesses as they work to transition from traditional sources of energy to renewable sources of power. We can do this in many ways including by protecting rooftop solar and the homeowners who have invested in solar energy by letting net metering policies mature without sudden changes. We can encourage work in the private and public sectors towards development of battery storage systems that make clean energy available 24/7. We can support businesses that provide the infrastructure for electric vehicles and encourage public entities to offer them. We can educate policymakers on the importance on solar and geothermal energy for our region’s economic development. 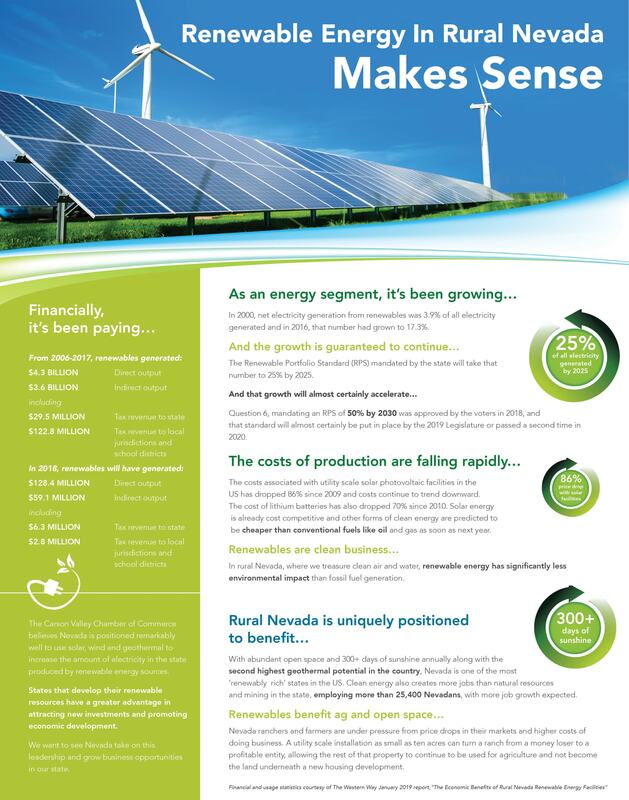 Nevada has been given the elements to grow the clean energy and technology industry, creating good-paying jobs in construction, technology innovation, manufacturing, repair and maintenance, sales and marketing, and more. Let’s be a part of making that growth happen and helping Nevadans prosper.